Are Micro-Moments Going To Be A Game Changer? “What used to be our predictable, daily sessions online have been replaced by many fragmented interactions that now occur instantaneously. There are hundreds of these moments every day—checking the time, texting a spouse, chatting with friends on social media. To continue to be successful, companies need to have a strategy for understanding and meeting the needs of the customer in these micro-moments, and Google is helping to meet those consumer expectations with some new advertising features they rolled out recently on their YouTube TrueView ad format. One of the features advertisers love about the TrueView ad format is that it gives the viewer options, the most common of which is the ability to skip the advertisement after five seconds. 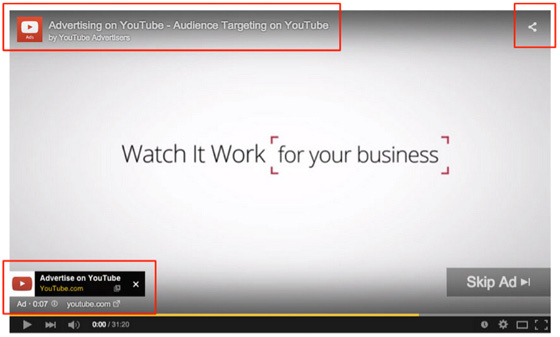 With TrueView ads, you don’t pay for random impressions or maybe-they-saw-its. The viewer has to choose to watch your video or there’s no charge. 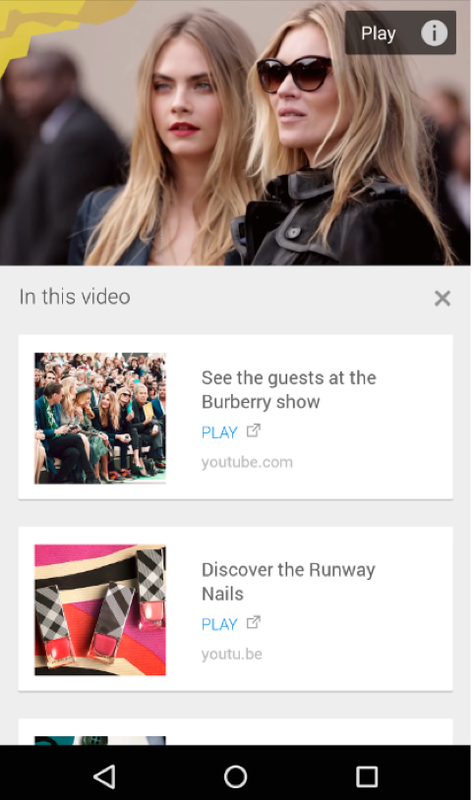 Google made some significant changes to their TrueView ads by introducing cards, a new feature that allows companies to share more information about their brand, related videos and playlists, and link to their website directly from the TrueView video ad. Google said to think of the cards like an evolution of annotations. They can inform your viewers about other videos, merchandise, playlists, websites and more. They can look as beautiful as your videos, are available anytime during the video and yes, they finally work on mobile. Another exciting new feature they also recently released is their efforts to cut down on those maybe-they-saw-its. You could just click anywhere on the player and it would register a click but now only clicks to cards or CTAs, the video header, companion banner or a link at the bottom of the player will count as a click. 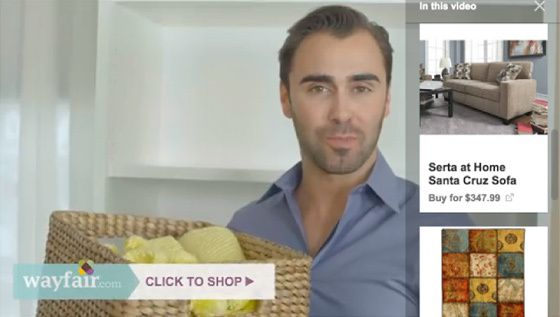 YouTube also introduced ‘TrueView for Shopping’ to its video ad offerings, a feature that enables merchants to add product links to their video ads. 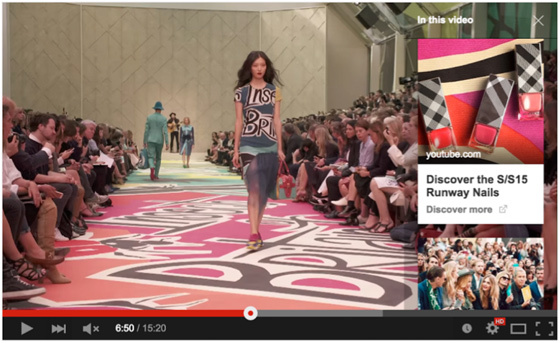 The capability is available for TrueView in-stream video ads on YouTube across mobile and desktop. It builds on the cards platform, and integrates Google Merchant Center – the first time this has been done with video ads. Advertisers can connect their campaigns with a Merchant Center feed in order to automatically add products, which then appear alongside the video with a ‘buy now’ button that leads directly to the item’s purchase page on the merchant’s website. Turning YouTube into a giant online marketplace is pretty serious, and it will be interesting to see how it plays out with Amazon and eBay. TrueView for Shopping will fully roll out over ‘the coming months’, but YouTube has already started trialing the capability with some retailers. Home goods retailer Wayfair reported a 3X increase in revenue per impression served compared to previous campaigns, while beauty retailer Sephora saw a 80% lift in consideration off the back of a TrueView for Shopping campaign. Welcome to the new age of marketing. Marketers need to identify these “micro-moments” and learn how to make each matter for their clients. By infusing these moments with meaning like taking advantage of the new TrueView ad features will help people make a better choice when those I want-to-know moments, I want-to-go moments, I want-to-do moments, and I want-to-buy moments arrive. ← What Do They Say About First Impressions?